Golf-lovers pine over everything relating to the dimpled, white ball. 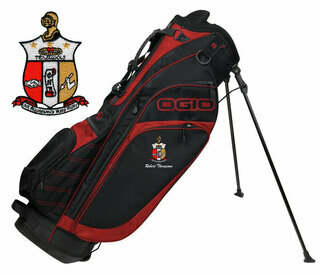 Surely they would love any golfing gear, but Greek Gear�s selection takes golfer gifts to the next level. 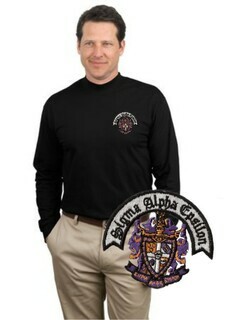 Customize golf gifts for the fraternity guy or sorority girl and have them teeing off in style. After all, members of Greek organizations know that nowhere is off limits when sporting their letters, and the golf course is no exception. Choose a set of custom golf balls with your organization�s crest or letters and add a personalized message, like the name of the letter-loving athlete, to round out a thoughtful collector�s gift for any member of a fraternity or sorority. Greek Gear has selections for every Greek organization, with options for most fraternity/sorority logos ready to don any one of the items on this long list of sorority and fraternity themed gifts. Golf clothing like wind jackets, vests, polos, classic Oxford shirts and more will have your golfer looking dapper on the greens. 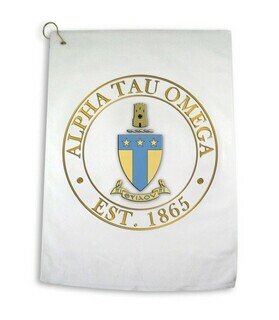 As with every item at Greek Gear, all of these items can be customized especially for you. 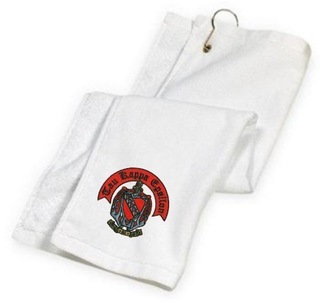 Greek golf towels make the perfect gift for your fraternity brother, dad or boyfriend. Don�t forget gifts for the golfing gal, like Greek shirts including a lettered fleece zip up, perfect to wear on a breezy golf outing. 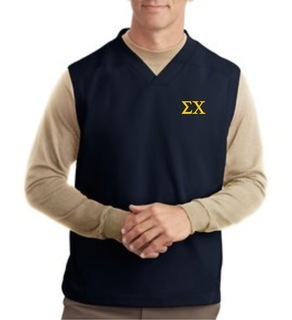 All kinds of customizable golf-appropriate clothing is available to make the perfect gift for the fraternity or sorority member in your life. Greek Gear�s also got other essentials for a day on the course, like straw hats, baseball caps, anoraks, wind pants, hoodies and sweatshirts. Check out our fraternity and sorority personalized putter kit, with all the fundamentals for practicing your putting housed in an engraved box complete with your organization�s crest and a personalized message. We�re certain that this selection of golf gifts will be a hole in one for any golf-loving frat guy or sorority girl. Golf Lover GiftsThe Greatest Selection. Period.